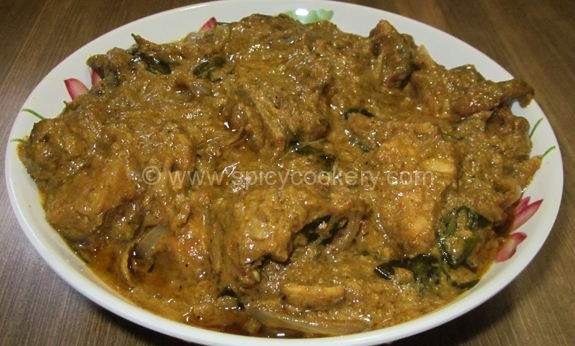 Cabbage Thoran is a main side dish in Kerala cuisine. Without this side dish Kerala sadhya is considered as incomplete. Easy to make but very tasty to eat. 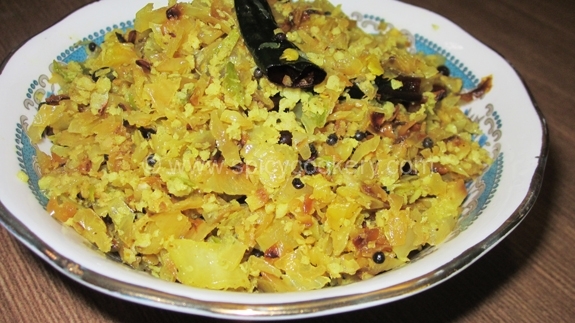 Cabbage with coconut mix (Nadan kootu) gives a special flavor to the dish. 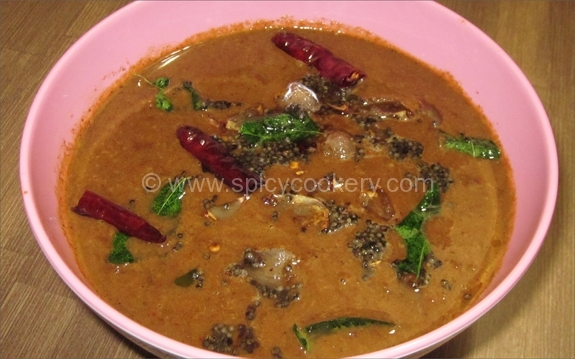 Gently smash grated coconut, green chilies, shallots, curry leaves -3nos in mixer. Take a deep bottom vessel. Add chopped cabbage & smashed coconut mix, turmeric powder, balance curry leaves & salt. Nicely mix all the ingredients & keep it a side closed for 15mins. Heat a kadai. Pour oil. Add mustard seeds, urad dal & allow it to splutter. Add dry red chilies. Then add coconut mixed cabbage & nicely sauté. Close it with a lid. Cook cabbage thoran in low flame for 15mins. Just sauté in between. Cabbage Thoran is ready to serve. Goes well with hot rice & sambar.